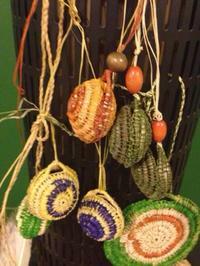 Weaving Workshops - Surf Coast Arts Inc. This workshop with Aunty Bronwyn Razem, a traditional Indigenous fibre artist from the Gunditjmara tribe and Kirrae Whurrong language group. The workshop explores creativity, design, cultural stories, language and listening. Through the simple method of “wrapping” vibrant wool around native grass, sticks and rocks you will become a master sculpturer as colourful animals are formed by your own hands. A women-only workshop, learning the art of weaving through story and culture. These are *Exclusive workshops outside the Festival Pass because of their capacity for a limited number of participants only. Cost: $25 each incl. materials.